Mountain View, California – February 28, 2017. Key Housing, a corporate housing service with short term listings throughout California at, is proud to announce new, up-to-date listings for Mountain View corporate rentals. Several upgraded high-tech Mountain View corporate rentals have been added to the Key Housing listings. Extended stay apartments offering modern amenities such as a wireless internet lounge and eco-friendly services can be found in Silicon Valley. To browse the newly added corporate housing properties in Mountain View, California, just visit the website. As an example, featured property, you can review the new Avalon Mountain View listings including all amenities. High-tech and eco-friendly amenities frequently desired by a tech workforce can be reviewed. 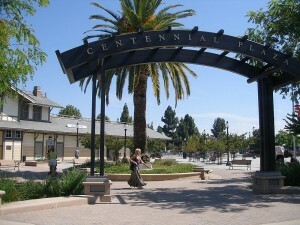 To learn more about corporate housing for Mountain View and the surrounding Bay Area, please visit https://blog.keyhousing.com/. There one can click on communities near Mountain View such as Cupertino, Palo Alto, and even San Jose. An important topic in the conference rooms of many Silicon Valley companies can be where to find new talent. The ever-changing landscape of the tech business can require Bay Area leaders to think outside the box and contract talented employees from outside the area. Working virtually might not be an option for many projects, so corporate housing may have to be found in the Valley. Mountain View corporate rentals might need to be as innovative as the talent. Internet cafes, wifi, eco-friendly amenities and proximity to entertainment can all be big draws for a Generation Y workforce. Corporate housing offering the best in new technology could be a good choice. Key Housing, a premier service for corporate housing has recently announced new listings for the Mountain View area. As a featured example, Avalon Mountain View can be found among the new listings. The property provides tech-savvy accommodations as well as walking distance to high-tech companies, restaurants and the popular Shoreline Amphitheatre. On-site amenities include high-speed internet, kitchens with stainless steel appliances and in-unit washer and dryers. Ground-breaking sustainable lighting technology can also be found at the property. Top talent may demand specific corporate housing amenities. Mountain View corporate rentals can offer unique conveniences to impress the best high-tech talent pool. Based in Folsom, California, Key Housing Connections Inc. specializes in corporate housing and corporate rentals in large cities like San Francisco, Los Angeles or San Jose as well as smaller cities like San Mateo, Pasadena and Walnut Creek. Key Housing is a leader in affordable, friendly, short-term and corporate housing rentals in places like Redwood City, Santa Monica, Newport Beach and just about every city in California. Whether it’s serviced apartments or a furnished rental, just search, click or call today! This entry was posted in Press Releases and tagged Corporate Housing, Corporate Rental, Mountain View, Mountain View Corporate Rentals on February 26, 2017 by Lee McDonald.